Johny’s passion for painting comes through in all of his art. 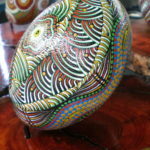 This can be seen through these beautiful emu eggs and their designs. 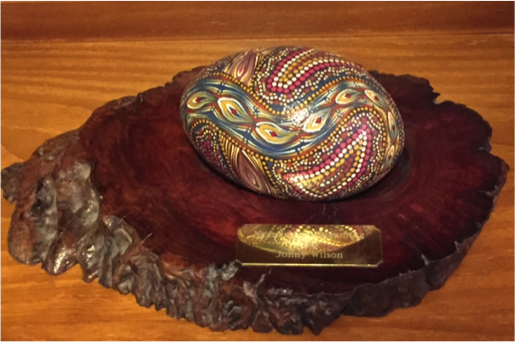 When finished Johny then mounts them for display as you can see in example in the picture which makes them perfect for anywhere around your house, office, business or even for a gift. 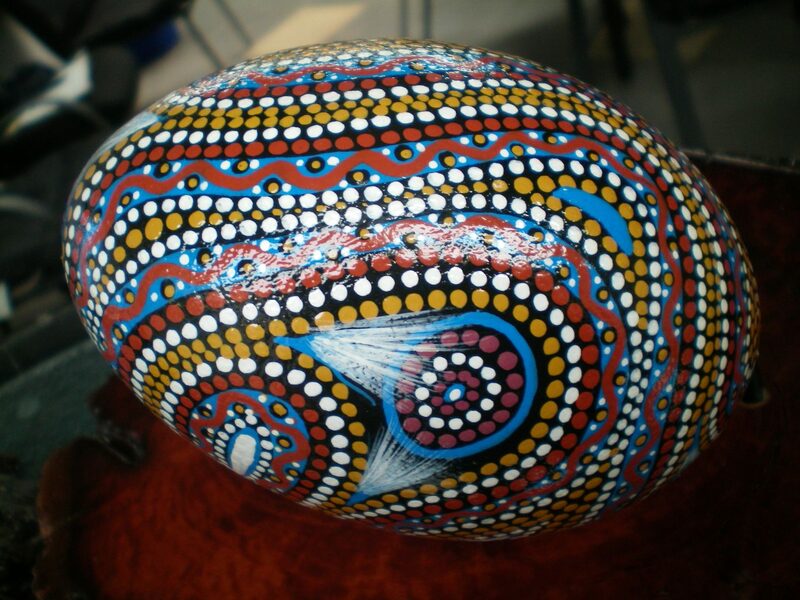 Johny reproduces his emu eggs to look similar to the design in the photo. They arent always exact but will be a close match. If you like the design in the picture why not purchase one today so you to can share in Johny’s passion.